1)2018 has seen so much volatility in the equity and bond markets after going straight up since 2009. 2)"Everything" bubble is simply the result of record low negative real rates manipulated by Central Bankers to prevent deflation by all means possible. 3)The ending of QE combined with increasingly inflationary concerns has sparked the US to start raising rates. 4)Unwinding of easy money policies could be quite painful. 5)Stay away from margin and company's with any debt on their books. One of the most overlooked stories in 2018 has been the volatility in equity and bond markets. The "everything" bubble is simply the result of record low negative real rates manipulated by Central Bankers to prevent deflation by all means possible. In 2008, the US banks were on the verge of collapse, the Fed since that time has tried every effort to protect the economy with easy money policies. The result since 2008 has been remarkably effective. Unemployment in the USA is at record lows only ten years following the government bailouts of banks and the auto sector. The real estate foreclosure crisis has been completely turned around. We must not forget that for every action there is a reaction. The unwinding of easy money policies could be quite painful. The ending of QE combined with increasingly inflationary concerns has sparked the US to start raising rates. 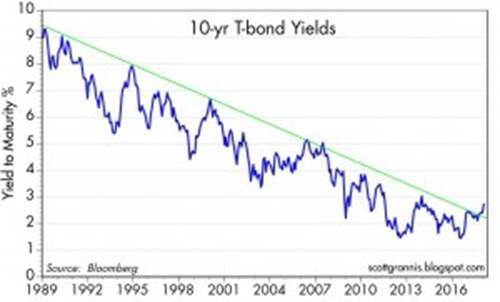 Bond yields are now the highest in many years spiking higher taking the investment world by storm. Real interest rate hikes are happening for the first time in many years. The Fed has started warning investors about rising risks most notably recently with Deutsche Bank. First hit is now Italy who has always lived the sweet life heavily indebted. Next will be Greece or maybe Spain or Portugal and the PIIGS as interest rates increase. Don't worry about Spain, Greece and Italy they will be bailed out by the EU again with another lifeline. Instead, be concerned for many young people living in debt. They may have jobs now with record low unemployment. 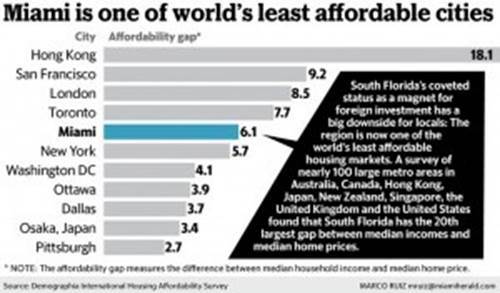 Nevertheless, in many cities such as NYC, LA and Miami the average teacher can't afford a place to live. As rates rise again to historic levels, I expect to see many more delinquencies. The recent concerns at Deutsche Bank may be just the beginning. I remember how fast these bank panics happen. First it started with Bear Sterns then Lehman and then AIG in 2008. All during that time the pundits in the mainstream media said there was nothing to worry about and that housing and the markets were booming forever and ever. A similar phenomenon could be happening right now. We have so many warning signs of another crash. The biggest one is the major increase in bond yields in 2018. Not only have rates moved higher but it jumped quickly the most in many years. I expect the recent warning signs from the Fed Reserve on Deutsche Bank to be just the beginning as debtors who became over leveraged to low rates pay the price now as rates rise quickly. I don't believe the Fed is done raising rates until there is a severe market downturn. There is no doubt that highly leveraged borrowers at record low interest rates will come into trouble. This begs the question how many of the banks still have derivative exposure like AIG and Lehman. Remember statistically we have up to 50% corrections or more once every 10 years or so. I know you don't like to hear it but this is the second longest bull market since the 1920's which led up to a major crash and the Great Depression. We are in the midst of trade wars not seen in 100 year since the Smoot Hawley Era which many blame as one of the accelerants in deepening the Great Depression's devastating effects. How does one protect oneself? Stay away from margin and company's with any debt on their books. You might want to look at hedging against the financials, real estate and bonds (TBT). Stick to small cap stories with no debt over large caps with debt and look to see if they have real assets preferably in the form of some sort of commodity in the ground. 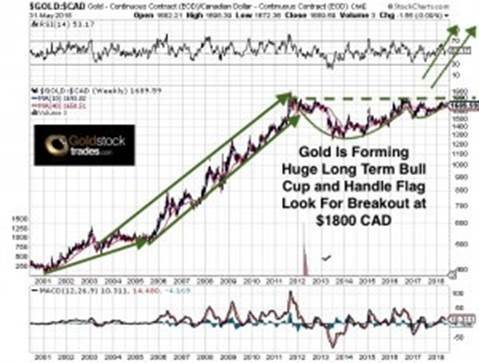 The mining sector (GDX) which has been under attack by the activists and unloved for years may actually be one of the best places especially gold (GDX), silver (SIL) and copper miners (COPX). The energy (XLE) and agriculture (DBA) sector may also be safe areas which over time could outperform during a potential bear market panic. Conditions point to a bear market and possible flash crash this summer. Please prepare for real estate and stock market valuation to come back to earth as rates move higher. What is deeply discounted right now and could soar again if we see double digit inflation like in the 1970's? The junior miners could be the best place especially right now the beaten down exploration stocks which have been brutally neglected by the major producers for years. I recently went to a mining conference in NYC put on by 121 Mining and met with some of the top CEO's and Fund Managers. One of my really smart professional subscribers Art pointed out Shanquan Li. Mr. Li manages the Oppenheimer Gold and Specialty Minerals $OGPSX. Before entering the investment sector he was a director of a think tank for the Chinese Government and then joined Brown Brothers Harriman before joining Oppenheimer where he has been for 22 years managing the precious metals fund since 1997 building it to just under $1 billion under management. He has significantly outperformed his peers recently with picks such as Kirkland Lake $KL, Endeavour $EDV and Newmont $NEM. The fund pays a yield of 2.99% and has four stars from Morningstar. Over the past year Li's $OGPSX fund has stayed in positive territory while most mining funds have been down. At the conference I had dozens of meetings with juniors. One of the things that impacted me most was when the CEO's showed up and mentioned to me that they were recently buying their own shares. This is a very bullish testament to me as an investor and it was nice to see two of the CEO's telling me that they are putting heavy amounts of their own net worth in recently as they believe their own stock has value and should rise. I'm still doing due diligence to confirm what they are telling me is correct but Liberty Gold $LGD and Victoria Gold $VIT may have had some recent insider buying. If you find insider report please email it to me. There were a few select juniors showing some great momentum at the conference based on prior results and good discoveries this included Teranga $TGZ, Fireweed Zinc $FWZ, Corvus $KOR and Silvercrest $SIL. Many of the companies came to the conference already well positioned financially recently raising money such as GoviEx Uranium $GXU. Some recently announced financings like Alexco $AXU which seems to be a top takeout target for high grade silver companies. Interestingly, many investors are still unaware of the recent investment by Eric Sprott into what could be the next Novo which went up ten fold last year. Sprott just made a $10 million investment in a small company which is just starting to pick up. The CEO was just interviewed and was one of the first I've seen on this rising junior in the Pilbara in Western Australia. Also incredibly I spoke to some of the top lithium experts on the internet and they were not aware of a discovery that I was one of the first in the industry to highlight back in November last year which could be huge. Since that time they raised $2.5 mil CAD and are advancing permitting and metallurgy. The stock has gone from a quarter to 1+ and it could be just a start as there have recently been some major advancements with the permitting. Make sure to stay tuned as I expect a positive turn in the mining market to be imminent. Be careful of the overbought cannabis and cryptocurrency sector which has attracted a lot of speculative capital and tons of fraudsters. See the recent article entitled, "Buyer Beware: Hundreds of Bitcoin Wannabes Show Hallmarks of Fraud" or "SEC Tells Investors Potential For Fraud in Companies Tied to Cannabis Industry". Please be careful...caveat emptor! If you have gains in cannabis or crypto, it might be prudent to rotate into cheap mining stocks. Disclosure: Assume Author (Jeb Handwerger) owns shares in featured companies and that I want to sell them for a profit. Sponsors are website advertisers so that means I have been compensated and have a conflict of interest to help boost awareness of this story. The content of this article is for information only. Readers fully understand and agree that nothing contained herein, written by Jeb Handwerger about any company, including but not limited to, commentary, opinions, views, assumptions, reported facts, calculations, etc. is to be considered implicit or explicit investment advice. Nothing contained herein is a recommendation or solicitation to buy or sell any security. Author is not responsible under any circumstances for investment actions taken by the reader. Author has never been, and is not currently, a registered or licensed financial advisor or broker/dealer, investment advisor, stockbroker, trader, money manager, compliance or legal officer, and does not perform market making activities. Author is not directly employed by any company, group, organization, party or person. The shares of these companies are highly speculative, not suitable for all investors. Readers understand and agree that investments in small cap stocks can result in a 100% loss of invested funds. It is assumed and agreed upon by readers that they will consult with their own licensed / registered financial advisors before making investment decisions. Readers understand and agree that they must conduct their own due diligence above and beyond reading this article. Author is not responsible for any perceived, or actual, errors including, but not limited to, commentary, opinions, views, assumptions, reported facts & financial calculations, or for the completeness of this article or future content. Author is not expected or required to subsequently follow or cover events & news, or write about any particular company or topic. Author is not an expert in any company, industry sector or investment topic.